Consider that for an afternoon activity, your child might be pretty hungry, since it’s been awhile since they had lunch. These snacks provide protein and carbohydrates to give them a good energy boost to play their best. The afternoon can also often be the hottest part of the day, so having cold water on hand is always a good idea. Recovery food should replenish energy and fluids without leading to overeating. Be careful here; it can be easy for a child (or anyone) to eat too much after exercise. We hope this information will help you choose and provide healthy snacks for the young athlete in your life. As always, if you have any ideas of your own to add, please leave them in the comments below. As a parent, you are no doubt familiar with peer pressure, and all the stress it can bring to kids. Peer pressure can affect many areas of life, including a child’s food preferences and choices. This becomes even more of a reality as your children grow older and spend more time with friends and outside of the home. Here are 5 easy ways to help your kids stay true to eating habits that work best for them. 1. Start at Home. While peers certainly influence kids, behaviors modeled by parents and other family members are very powerful. Parents who model positive eating habits as well as negative eating habits greatly impact their children’s eating habits. 2. Teach and Empower. Instead of just giving kids food, start getting your children actively involved in their food choices. Involving them in food selection and preparation is empowering and will help them to make good choices outside the home. 3. Stand Up for Your Choices. Unfortunately, people and even family members often feel entitled to remark upon one’s eating habits, whether healthy or not. Stand up for your own choices, and let your kids know that they do not have to justify their choices in order to make people more comfortable. This may be especially important if your child is following a special diet, such as not eating meat or gluten. You can gently let family know that yes, even though their meatloaf is delicious, your child is allowed to make choices about what they eat. 4. Learning Opportunities: School, visits at friends’ homes, and special occasions are great chances for kids to practice balanced eating. Teach kids about their options, and encourage them to eat mostly healthy food with a “sometimes” food or treat as well. 5. Dining Out. Eating out at a restaurants is another great opportunity to model good choices. You can use this learning opportunity to point out how big restaurant portions are, and take home half of your meal. 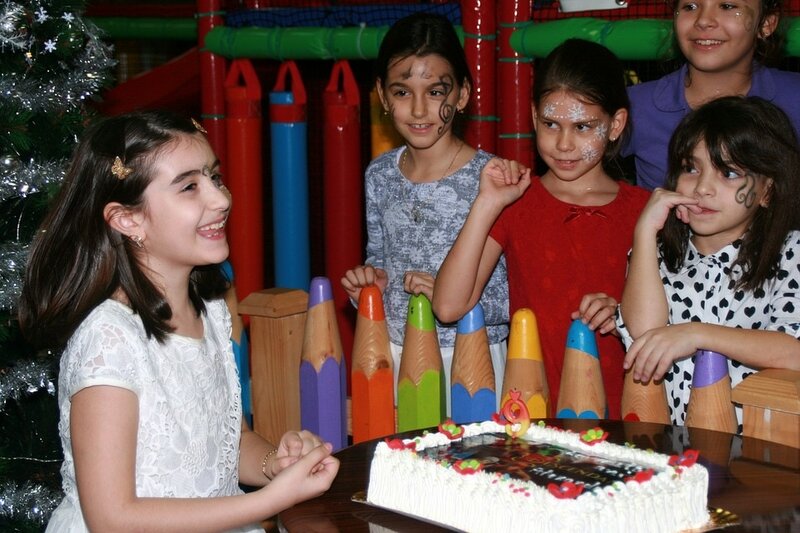 Modeling good choices and educating your kids is the best way to prepare them to make good choices when they are out with friends. Any balanced diet has room for special meals out and social occasions with friends. Using these as teaching opportunities will give your children the confidence they need to become healthy adults. For healthy eating plans and additional support, consider consulting with a registered dietitian nutritionist. Come Check out our Health Coaching Workshop on Tuesdays, in March, April and May, 2017 at 4:30pm and 6:30!! Join KareBoost Health on March 30th at 6:30 pm for a Karma Yoga event with registered non-profit Let’s Imagine. Let’s Imagine was the very first non-profit organization that KareBoost Health partnered with, and KareBoost is so excited to welcome this inspiring, imaginative organization back. Let’s Imagine is a registered non-profit dedicated to inspiring children and young adults through art and yoga. Founded in April 2015, Let’s Imagine has already traveled to work with a children’s school in the Philippines. Currently, the organization is raising money to build a fresh-water well in Tanzania and for yoga and art supplies for an orphanage in Mozambique, where one team member resides. Let’s Imagine believes that children are the future, and that imagination and movement are tools that will help children grow, flourish and create stronger communities. The Karma Yoga event will include a fun yoga practice led by KareBoost’s own yoga instructor Sarah. 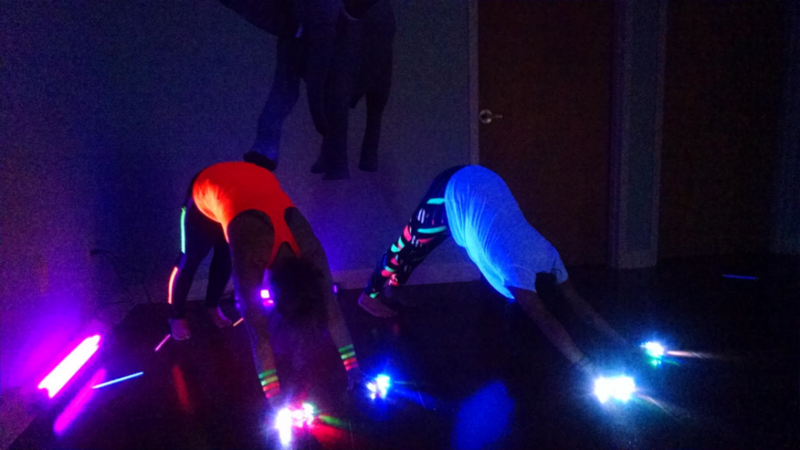 You will be able to wear glow in the dark tape and do relaxing GlowGa Yoga in the dark. Please join us for a fun and relaxing yoga session and raise money to help youth, locally and globally. Reading food labels is key to becoming a smart shopper and advancing your health and nutrition goals. If all the information on food labels seems overwhelming, here are a few tips and tricks to simplify food choices. 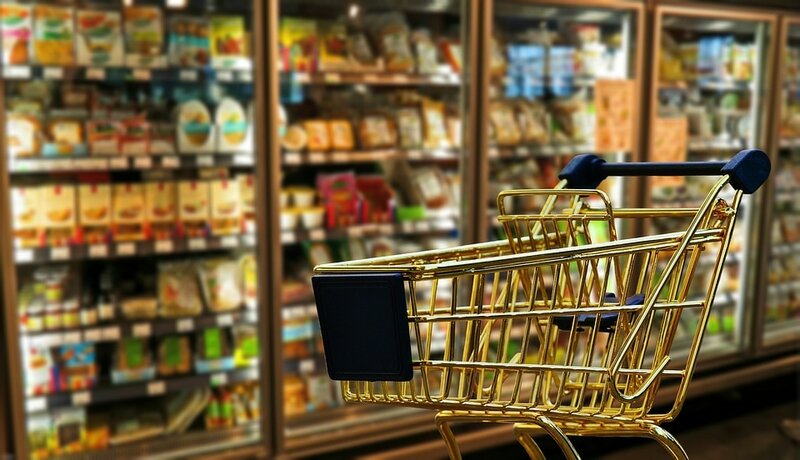 With our easy breakdown, you will be a pro at reading food labels and getting the most out of your grocery store trip before you know it! 1. Start with Serving Size and Servings Per Container: At the very top of the nutrition facts is information about serving size and the servings in a container. This information is crucial as the label lists nutrition facts per serving. If the serving size is one cup and you eat two, just remember to double all the nutrition facts. 2. Check out Total Calories: Calories certainly are not everything when it comes to a healthy diet, but knowing the amount of calories in a serving size is a good place to start. 3. Percent Daily Values: These daily values are average levels of nutrition for a person eating 2,000 calories a day. The percent DV is for the whole day, not for a single meal or snack. Also, if your caloric needs or greater or less than 2,000 calories a day, you will need to take that into account. 4. What to Limit: Try to eat less of saturated fats, trans fats, sodium and added sugars. Look for foods that are naturally low in these, as eating less of there may help reduce your risk for heart disease high blood pressure and cancer. 5. What to Include: Get enough dietary fiber, vitamin D, calcium and potassium to maintain good health. Aim for a high percent DV of these, and look for foods that naturally high in these nutrients. Fruits and vegetables are a good source of naturally occurring dietary fiber and other necessary nutrients. 6. Understand the Ingredient List: Foods with more than one ingredient must have a list of ingredients on the label. Ingredients are listed by weight, with the largest amount listed first. Knowing this will help you to see past exaggerated claims manufacturers often make about their products. 7. Skip the Advertisements. Manufacturers have endless tricks designed to make consumers believe the foods they are buying are healthy. Watch out for claims like “low calorie”, “low in fat” and “low sodium”. Those cookies with over 40 ingredients may be low in fat, but that does not mean they are healthier than an avocado. Go straight to the food label and skip the sales pitch! Use these 7 tips and tricks to become and smart, fearless shopper. If you would like even more information, consider meeting with our registered dietitian. We can even take you on a grocery store tour to implement your new label reading skills! Come Check out our Nutrition Workshop on Label Reading and Healthy Snacks on Tuesday, April 4 at 4:30pm!! 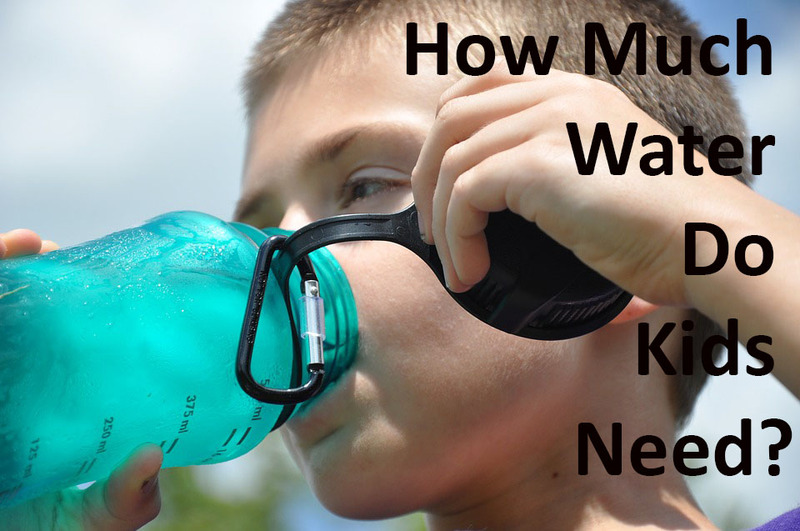 How Much Water Do Kids Need? When it comes to maintaining good health, it is difficult to think of a nutrient more basic and important than water. Water is the foundation for what all our bodies do and the most abundant material in our bodies. Water transports nutrients to our cells and removes waste products. It helps maintain blood volume and body temperature, and it lubricates joints and tissues. As a healthy beverage, water is ideal in many ways. It has no calories, no sugar, and no caffeine. It is very inexpensive and usually very easy to find. The question is then, “How much water should we drink?” This question becomes especially complex with regard to children, because the amount of water a child needs varies based on factors such as their age, weight, and even gender. Environmental factors, such as air temperature and humidity play a role. And a child’s level of physical activity also factors into the equation. If these numbers seem like a lot, remember these numbers include water from all sources. This includes water from all types of beverages, as well as water consumed in food, which can be a substantial amount, especially for a diet rich in fruit and vegetables. While it can be difficult to calculate exactly the amount of water consumed in food, experts recommend children or teens should drink six to eight cups of water per day in addition to a healthy diet rich in fruit and vegetables. During periods of high heat or physical activity, this number should be increased. Come Check out our Sports Nutrition Workshop on Tuesday, April 4 at 6:30pm!! If you are focused on your family’s health, you may be trying to reduce or revamp your children’s snacks. Snacking over the years has increased- thirty years ago kids ate roughly 250 calories a day between meals. Now, kids eat about 500 calories a day between meals. However, not all snacks are created equal, and you can increase your family’s health without cutting out all snacks. Here are seven snack suggestions to keep in mind. 1. Add protein and fiber. Instead of adding empty calories, use snacks to help your kids stay focused on school, homework and extracurricular activities. Snacks like an ounce of nuts and a piece of fruit will provide lasting energy and add nutrition. 2. Set up a snack schedule. Offer meals and snacks at predictable times each day. This will prevent mindless all day eating and snacking too close to a meal. Eating every three to four hours will actually help kids and teens achieve and sustain a healthy weight. 3. Encourage mindfulness. Apply the same rules to snacks as you do to meals. Turn off the TV, video games and computers and eat mindfully. 4. Increase nutrients. Use snack time as an opportunity to add nutrient-dense foods that do not often make an appearance at meals. 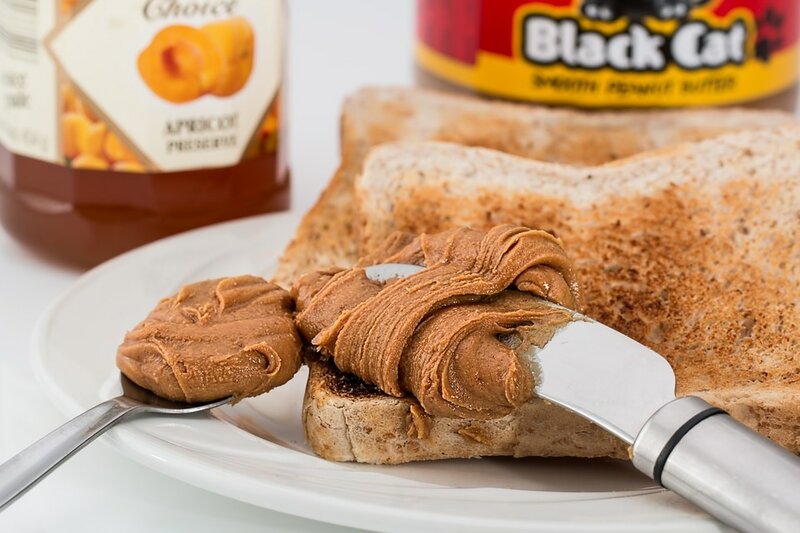 Good examples are fruit with nut butter or low fat cheese, yogurt or vegetables with salsa or hummus. Any opportunity to add in produce is beneficial! 5. Prepare. Planning ahead will increase the chances that you have healthy snacks on hand when your kids get hungry. While you do want to encourage mindful healthy eating, having a small healthy snack prepared is always preferable to making an emergency fast food stop. 6. Proper portions. Smaller kids need smaller portions, but also need at least two snacks and three meals a day. Older kids need three meals and at least one snack a day, depending on activity level. 7. Snack ideas. Here are some healthy ideas to try! Have fun with healthy snacking, and if you need further ideas, try speaking with a registered dietitian nutritionist to find a meal plan that works for the whole family. Come Check out our first Sports Nutrition Workshop on Tuesday, April 4 at 6:30pm!! 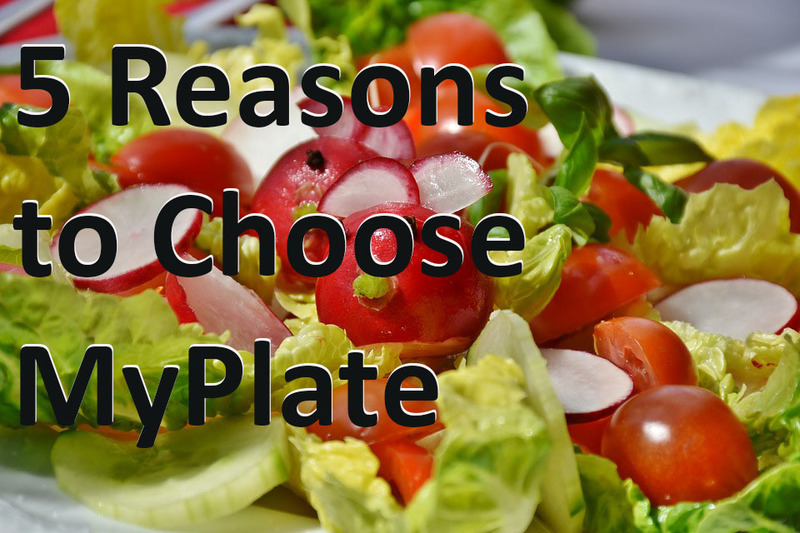 Choose MyPlate is the newest USDA food guide. It aims to eliminate confusion about healthy eating, and to help you to find a healthy eating style you can stick with for life. With its focus on variety, nutrition and serving sizes, MyPlate encourages a healthy eating style that is adaptable and useful for life. Read on for our take on MyPlate, and click here to access the USDA’s site. 1. Simple is key. Unlike previous food guides, MyPlate is very simple. The graphic is a well-proportioned plate, and has five food groups: fruits, vegetables, proteins, grains and dairy. Instead of worrying over specific foods, any food in that group will fit into the plan. 2. Variety. A very strict diet is hard to follow for life. MyPlate actually encourages variety, as you can pick any food that fits into the category. The guidelines also suggest varying sources of protein, fruits and vegetables. 3. Small changes=big results. This food guide is very realistic, as nothing is banned, but small changes are encouraged. With MyPlate, half of your meal is comprised of fruits and vegetables. This small change can lead to big results! 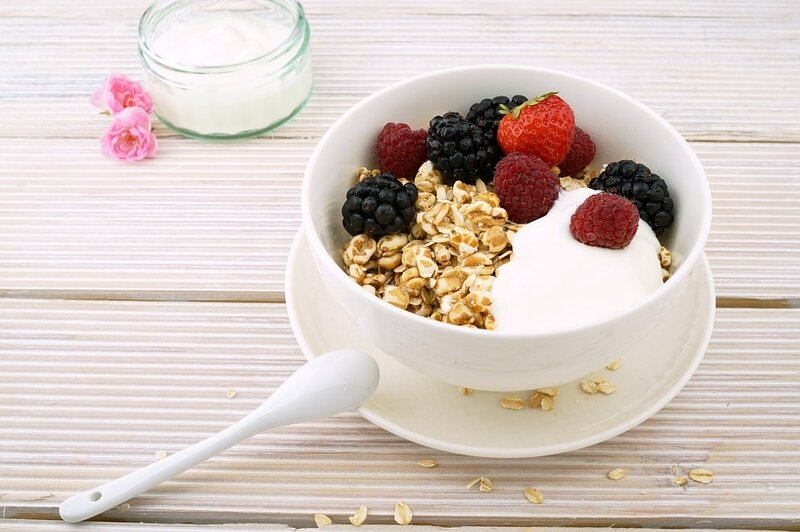 The guidelines also encourage switching to low-fat dairy, and making half of your grains whole grains. 4. Inclusive. This plan adapts well to special diets and needs. Vegetarians, vegans and those who are eating gluten free can use this diet plan, as it is more focused on general food groups, variety and nutrition. Because it allows for variety, this healthy eating plan can be adapted easily. 5. Interactive and supportive. The new guidelines also come with online support and community. Online tools include a food and physical activity tracker, recipes and articles to help you gather more information about a healthy eating plan. KareBoost has additional resources to help you stay on track, including a workshop on MyPlate. Join our Dietitian on March 14 to learn more! Healthy eating can be interesting and delicious, especially with the proper tools and support! Come Check out our Nutrition Workshop on Choose My Plate on Tuesday, March 14 at 4:30pm!! Eggs can be a powerful part of a healthy diet. Eggs are delicious, nutritious, relatively inexpensive, and easy to prepare. Eggs contain antioxidants, nutrients important to brain health, and are high in vitamins B2, B5, B12, Vitamin A, and selenium. Your best bet to get the most nutritious eggs is to buy free-range organic eggs whenever possible. 1. Boiling: Boiling eggs tops the list of healthy methods of egg preparation because it requires no butter, oil, or other added fat. It is also one of the easiest ways to prepare eggs. And, as an added bonus, boiled eggs are a lot more portable than most other ways of cooking eggs. 2. Scrambled: Scrambled eggs are a popular recipe and fairly easy to prepare. The key to keeping them healthy is making a healthy choice when it comes to the fat used to prepare them. Coconut oil, ghee, or clarified butter are all good choices. Some people like to add milk to scrambled eggs, but leaving out the milk will keep the calorie count lower. Adding some chopped vegetables to your eggs can help you feel full while keeping the calorie count under control. 3. Poached: Poached eggs are a healthy option because they require no oil or butter to prepare. They take a little more work to prepare than boiled eggs, but the payoff is worth it when you have the time to do it. To poach an egg add a little bit of white vinegar to water and bring it to a boil. Gently crack the raw egg directly into the water and boil for 4 minutes. While poached eggs are often served with hollandaise sauce and ham, skip these to keep the calorie count low. Instead, try serving the eggs over whole grain toast or cooked beans. 4. Healthy Fried Eggs: While “fried” and “healthy” are two words that often do not go together, choosing carefully what you fry the eggs in can make fried eggs a healthy option. Instead of using butter or margarine to fry your eggs, use coconut oil or ghee as an alternative. 5. 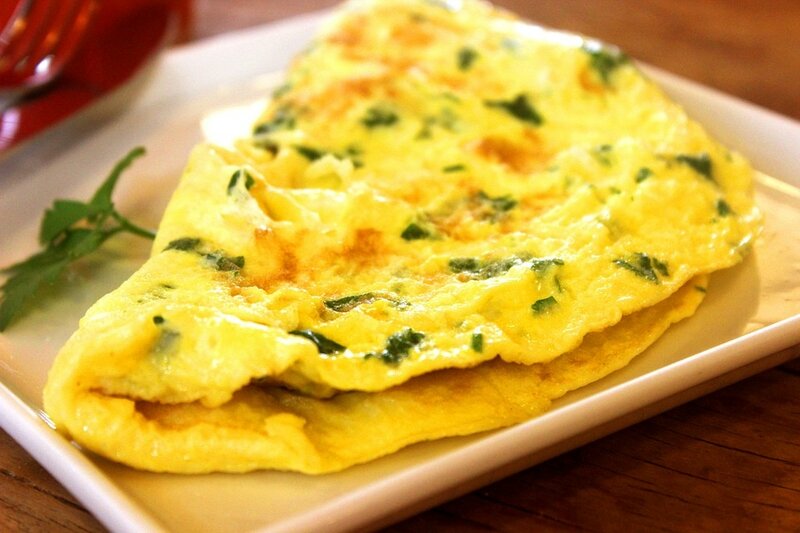 Omelet: An omelet can be a healthy choice, but what you put inside matters. Skip the cheese and meat and opt for veggies instead. As with fried eggs, coconut oil or ghee are the best choices to cook with. Come Check out our Choose My Plate Nutrition Workshop on Tuesday, March 14, 2017 at 4:30pm!! 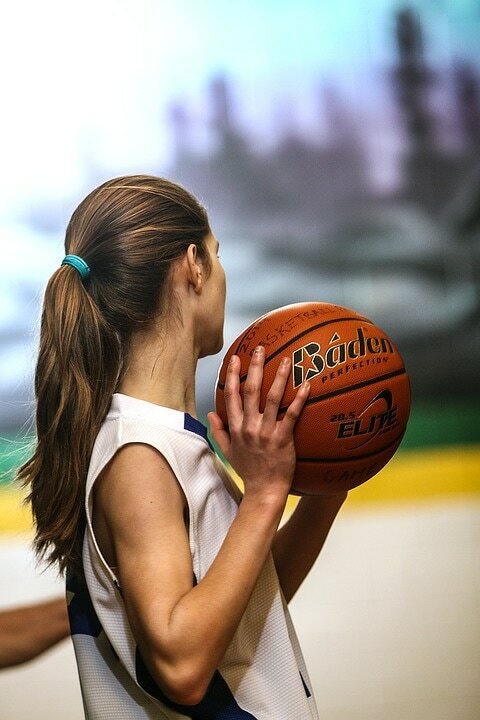 If your teen athlete is looking for a healthy eating plan that will help them to get stronger and complement their training, here are seven tips to keep in mind. 1) More protein does not equal more muscle. Muscle growth is a complex process that requires adequate protein and calories, hormones and exercise. Just eating lots of protein is not sufficient. 2) Exercise is key. Exercise, especially strength training, breaks down muscle cells. Protein from food then helps to repair and build even more muscle. 3) Find Balance. A balanced diet includes enough calories and protein. Too much protein means excess calories are stored, usually in the form of fat, and too little protein equates in muscle breakdown and loss. 4) Individual needs vary. Teen athletes require about 0.5 to 0.8 grams of protein per pound of body weight, while non-athlete teens require about 0.4 to 0.5 grams of protein per pound of body weight. Protein needs also depend on age, gender and body weight. However, most kids and adults get enough protein in their diet on a regular basis. 5) Sources of protein. Seek out high-quality sources of protein from beef, poultry, fish, eggs, milk and dairy products. Good vegetarian sources of protein are soy and soy products, beans, nuts and nut butters. 6) Beware of supplements. Protein powders and drinks are not necessary and might be dangerous. Too much protein intake taxes the kidneys and leads to dehydration. Supplements are mostly regulated by manufacturers and the risk of contamination is very real. 7) Plan meals well. All of your protein needs can be met with food. Include a protein source with each meal. Consider meeting with our registered dietitian nutritionist to plan meals and address your child’s individual needs. Or you can make an individual appointment with our Registered Dietitian via Skype Coaching or an In-Person visit.